Doctors are calling on health ministers and NHS England to intervene to make a drug called Avastin routinely available to people with a debilitating eye condition known as wet AMD. Wet age-related macular degeneration can cause blindness, without treatment. Another drug exists but is far more expensive than Avastin. NHS England said the issue raised "important matters of principle" which needed "careful thought". Clinical leaders from 120 clinical commissioning groups say current regulations make it hard for physicians to prescribe Avastin instead of the more expensive alternative, Lucentis. Doctors can prescribe Avastin "off-label", but they are only supposed to do that if there is no suitable licensed drug. Lucentis is licensed for wet AMD, but typically costs about £700 for an injection. Avastin costs about £60, so switching to this drug could save the NHS in England £102m a year, according to the clinical leaders. Both Lucentis and Avastin are owned by Roche - although Lucentis is marketed by Novartis in the UK. The campaigning doctors, who represent about 60% of England's clinical commissioning groups (CCGs), are now asking the health secretary and the boss of the NHS to step in. Dr Amanda Doyle, co-chair of NHS Clinical Commissioners, said: "This is a long standing issue within the NHS, and the numbers of CCGs who have united behind this shows the strength of feeling there is to ensure that we have all the available options to be able to deliver the best possible care for our patients. "As clinicians, we are seeing an increase in the incidence of this chronic eye condition due to an ageing population, and as commissioners we have a responsibility to ensure that every pound spent is done so to the best effect, and that is even more important with the current financial pressures the NHS is facing." Chief executive of the General Medical Council (GMC), Niall Dickson, said it would "reflect upon" the letter and reply to it shortly. "As our guidance makes clear, we support the efficient use of NHS resources and we are sympathetic to the argument that a better solution needs to be found for the use of Avastin in the treatment of wet age-related macular degeneration (AMD). "If it were simply a matter of changing GMC guidance to allow doctors to prescribe a cheaper but equally safe alternative medicine, we would do it," he said. The National Institute for Health and Clinical Excellence (NICE) watchdog, which looks at the cost effectiveness of drugs used by the NHS, can only appraise a treatment if it has been licensed. Likewise, the UK's Medicines and Healthcare Products Regulatory Agency can only consider licensing a drug if an application has been put in. Roche advises against using Avastin off-label. In a statement it said: "Avastin was developed and approved only for the treatment of patients with cancer. "Avastin is not licensed for wet age-related macular degeneration because it is not developed and manufactured to meet intraocular standards. "We have an obligation to inform healthcare professionals and patients about the known risks associated with use of our medicines." Roche says it would take years of more trials and to get Avastin ready for such licensing. It says efforts would be better spent exploring new potential eye medicines instead. Clinical trials suggest both drugs can treat wet AMD. 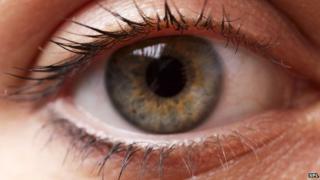 NICE says around 26,000 people a year develop wet AMD in the UK. A Department of Health spokesperson said: "Age-related macular degeneration is a very serious condition and there are already other licensed and NICE-recommended drugs available to treat this condition. "Avastin is not licensed for this purpose and whilst only the manufacturer is able to apply for a new license, doctors are free to prescribe unlicensed medicines and licensed products off label if they feel they are clinically appropriate for their patients." An NHS England spokesperson said: "This case raises important matters of principle as well as competing practical considerations that all need careful thought."